The European Central Bank (ECB) is one of the seven institutions of the EU and the central bank for the entire Eurozone. It is one of the most critical central banksBanking (Sell Side) CareersThe banks, also known as Dealers or collectively as the Sell Side, offer a wide range of roles like investment banking, equity research, sales & trading in the world, and it supervises over 120 central banks and commercial banks in the member states. The bank works with the central banks in each EU state to formulate a monetary policy that helps maintain stable prices and strengthen the Euro. The ECB started in 1998 following the Treaty of Amsterdam that amended the Treaty on the European Union. The bank succeeded the European Monetary Institute (EMI) which had been formed at the second stage of the Economic and Monetary Union (EMU) to handle transitional issues of adopting Euro as a currency. It also prepared for the creation of ECB and European System of Central Banks (ESCB). The ESCB includes the ECB and the national central banks of all the EU member states, including those that have not adopted Euro. The ECB first exercised its full powers on 1 January 1991 after the introduction of the Euro as the official currency for the Euro area. During this time, the national central banks of the 11 EU member states transferred their monetary policy function to the ECB. Other states within the EU joined later on, with Greece, Slovenia, Cyprus, Malta, Slovakia, Estonia, Latvia and Lithuania joining the EU between 2001 to 2015. The expansion enlarged the bank’s scope, and it marked a milestone in the complex process of EU integration. The first President of the ECB was Win Duisenberg, who was also the former president of the EMI and Dutch central bank. His proponents saw him as a guarantor of a strong Euro, and he had the support of German, Dutch and Belgian governments. The French government had opposed Duisenberg taking over the presidency of the ECB, instead opting to have a French citizen as the president. They resolved the disagreement through a gentleman’s agreement where Duisenberg agreed to step down prior the end of his term, for Trichet, a French national, to take over. There are four decision-making bodies of the ECB that are mandated to undertake the objectives of the institution. These bodies include the Governing Council, Executive Board, General Council and the Supervisory Board. The Governing Council comprises six members of the Executive Board and Governors of the national central banks of the 19 Euro area member states. The Council members meet twice a month at the institution’s offices in Germany. The minutes of their meetings are required to be published prior the next meeting. One of the primary functions of this body is the formulation of monetary policy for the Euro area. In this regards, they make decisions on monetary objectives, interest ratesInterest ExpenseInterest expense arises out of a company that finances through debt or capital leases. Interest is found in the income statement, but can also be calculated through the debt schedule. The schedule should outline all the major pieces of debt a company has on its balance sheet, and calculate interest by multiplying the and the supply of reserves in the Eurosystem. Every six weeks, the President and Vice-President of the ECB must chair a press conference to explain in detail their monetary policy decisions. The Governing Council also takes necessary decisions that ensure the performance of the functions of ECB and the Eurosystem. The Executive Board comprises the President, Vice-President and four other executive members appointed by the European Council. The executive members serve for an 8-year non-renewable term. The role of the Executive Board is to implement the monetary policy as defined by the Governing Council and manage the day-to-day operations of the ECB, alongside the Chief Services Officer. Also, the board prepares the Governing Council meetings, and it exercises power delegated to it by the Governing Council. It holds meetings every Tuesday. The General Council is a transitional body that carries out responsibilities taken over from the European Monetary Institute (EMI). It comprises the President, Vice-President, and Governors of the national central banks of the 28 EU member states. The body will continue to exist until all EU member states have adopted the Euro. Currently, only 19 out of the 28 EU member states have taken up the Euro as their single currency. As a transitional body, the General Council is tasked with fixing the exchange rates of currenciesCurrency RiskCurrency risk, or exchange rate risk, refers to the exposure faced by investors or companies that operate across different countries, in regard to unpredictable gains or losses due to changes in the value of one currency in relation to another currency. for countries taking up the Euro. The council also contributes to the preparation of ECB annual report, setting conditions of employment of the European Central Bank members of staff and collection of data. The Supervisory Board comprises the chair, vice-chair, four ECB representatives and representatives of national supervisors. The board plans and executes the supervisory function of the ECB. It also proposes draft decisions to the Governing Council through the non-objection procedure. There is a Steering Committee that supports the board’s activities, including organizing the board’s meetings. The Steering Committee members comprise the Chair and Vice-Chair of the Supervisory Board, One ECB representative and five representatives of national supervisors. The primary function of the European Central Bank is to maintain price stability and safeguard the value of the Euro. The Governing Council defined price stability as inflation of under but close to 2%. Price stability is essential for spurring economicEconomicsCFI's Economics Articles are designed as self-study guides to learn economics at your own pace. Browse hundreds of articles on economics and the most important concepts such as the business cycle, GDP formula, consumer surplus, economies of scale, economic value added, supply and demand, equilibrium, and more growth and job creation, which are core objectives of the EU. The ECB has the monopoly on the issue of bank notes in the Euro area. It influences the amount of money in the market by controlling money available to eligible central and commercial banks in EU member states. Also, the ECB makes weekly announcements on the amount of money it wishes to supply and the minimum acceptable interest rate. Eligible banks that have given collateral then place their bids for the ECB funds through an auction mechanism. Once the banks have got the funds, they use them to advance loans to individuals and businesses. To ensure the robustness of the banking system, the ECB is responsible for banking supervision in all the EU member states. The European Central Bank carries out this function through the Single Supervisory Mechanism (SSM) that comprises the ECB and competent national authorities in the member countries. In respect of banking supervision, the ECB has the power to grant and withdraw banking licenses, conduct supervisory reviews and set higher capital requirements to counter any financial risksRisk Advisory InternshipRisk Advisory Services are meant to help a business or organization understand the risks it faces and minimize such risks. A risk advisory internship allows an individual to participate in risk advisory services, which constitute a large portion of the services provided by large auditing companies such as EY, KPMG, Deloitte, and PWC.. The ECB directly supervises 124 significant banks that hold 82% of the banking assets in the Euro area. 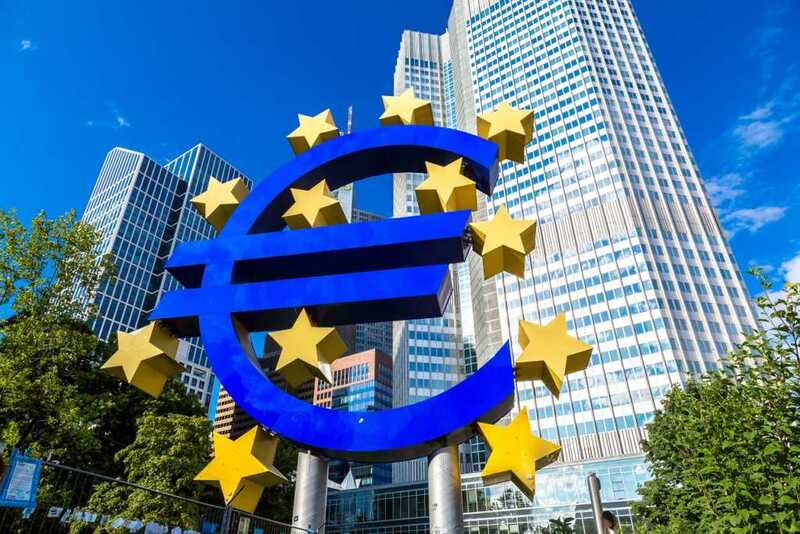 Other responsibilities of the European Central Bank include conducting foreign exchange operations, promoting the proper functioning and safety of payment systems and also managing the Eurozone’s foreign currency reserves. Private Banking InternshipPrivate Banking InternshipPrivate Banking refers to services that banks reserve only for their largest and richest customers. A Private Banking internship offers an individual the opportunity to work with customers who are known as “high net worth individuals” (HNWI).